I would like to take this opportunity to thank my dear friend Veeda who is responsible for my beautiful Hazelwitch Maltese. 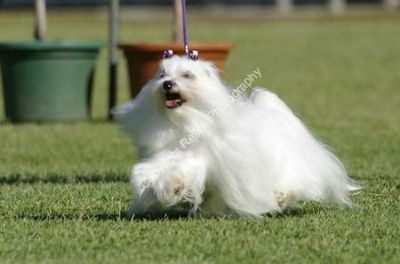 I have been very fortunate to carry on her line..
During her show career Veeda showed and bred some of the top Maltese dogs, winning many Best in Breed//Group/Shows . My boy Beau, Aust CH Hazelwith Mr Bojangles is son of the late Aust Ch Hazelwitch Sir Lawrence (Huey). Also brother from a later litter of Aust Grand Ch Hazelwitch Master Kozzie. 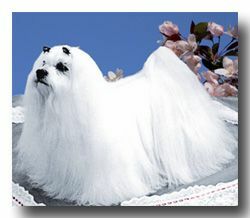 Huey being a perfect example of a Maltese was used to advertise the Maltese breed. You can also find us on Dog Lovers website on the link below. Then click on Dog Breed Information, scroll down to Maltese; then click on Maltese Breeders and Alrich Maltese.